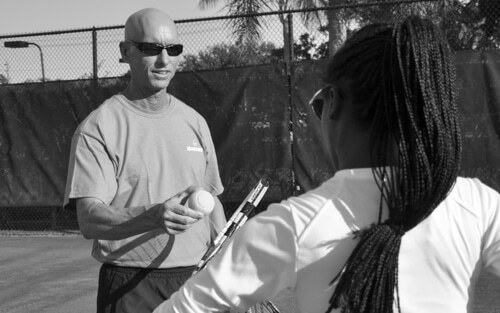 Since 1986, David O’Meara has inspired athletes to reach their full potential using a revolutionary coaching process that drives them to achieve unprecedented performance. 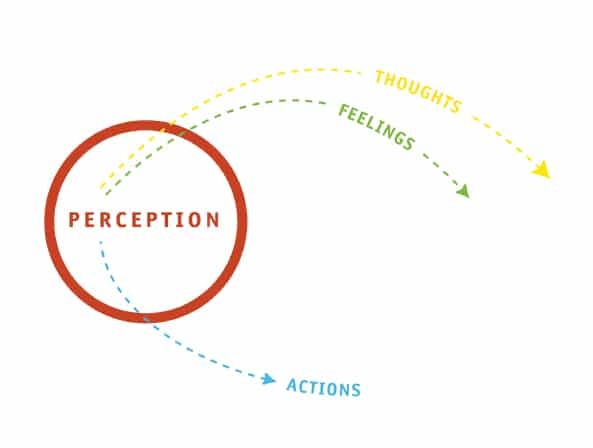 By understanding the importance of perception [how we see events, others and ourselves] generates all our thoughts, feelings, and actions. Perceptions are the only thing an athlete can control. 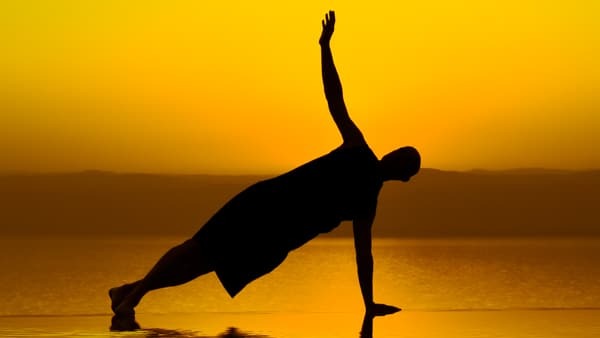 The O’Meara Process focuses on our client’s perceptions to create lasting change that results in a confident, creative, and self-disciplined athlete. In tennis, a skilled player may perceive a high-floater as an easy shot and approach it more relaxed knowing that they can crush it. However, more often than not the player will hit this ball inconsistently by swinging hard without focus. A floater is high, slow moving and has little-to-no spin. A ball like this is actually unpredictable and challenging to hit with accuracy. So, we need change the player’s perception on floaters. A high ball without spin is easily affected by wind and will bounce differently than a spinning ball. Additionally, a slower ball will require an adjustment to the player’s natural rhythm and timing. This is no time to relax. The player needs to heighten their focus and react to the ball’s unusual movement. The 10-steps of The O’Meara Process will help the player make this change permanent. 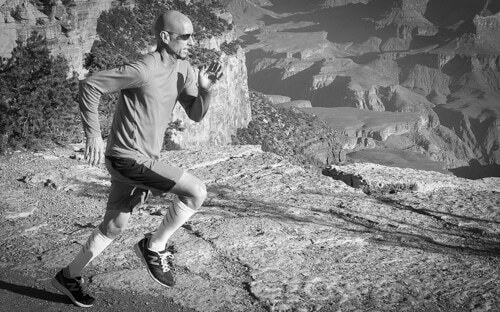 As a coach, consultant, competitive athlete and author, David’s unique approach provides measurable results that truly last. David has made a career of inspiring amateur and professional athletes of all ages. He has consulted with sports programs around the world including athletes, coaches and teams in India, Nigeria, Guyana, and Jordan. He has co-authored three books: Tennis Unlimited, Play Better, Live Better and Creating Amazement which document the application of his coaching methodology. 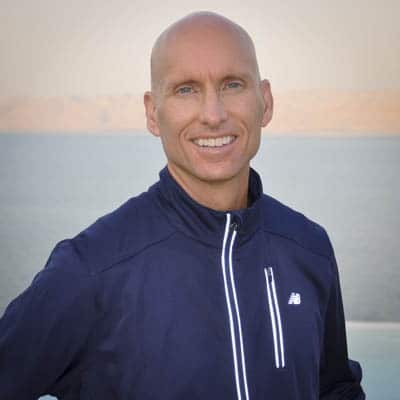 Living in Sarasota, Florida, David is an accomplished runner (still able to break a 5-minute mile at 55 years old), certified personal trainer and committed vegan. 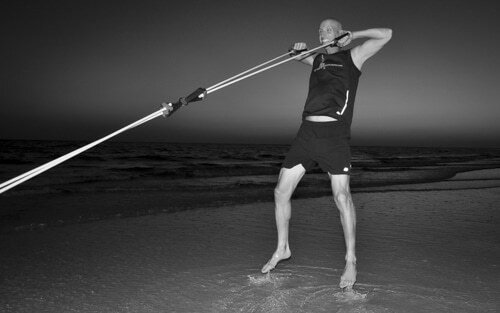 If you are a professional athlete, an aging athlete, a team striving for competitive advantage or just an competitive amateur athlete that wants to overcome their perceived limitations, contact David and he will customize a specific lesson or workout to help you excel at your sport.